Isn’t it a great idea to make the dearest sister feel pampered presenting her the most spectacular Bhai Duj gift this Diwali? 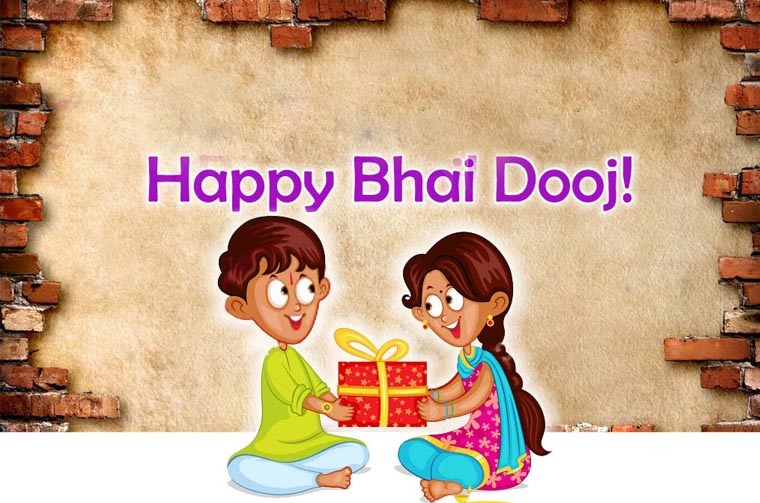 Bhai Duj or ‘Yamadwitiya’ would be the last day of Diwali celebration when the sister honors the Arati to the brother and he promises his unconditional love and support for her. The most appropriate gift idea can add glory to the emotions flowing from the hearts of the siblings on this occasion and would surely strengthen the emotional bond between them. The delicious chocolates can be the universally accepted gifts for any happy occasion. The chocolate bar printed with the text ‘Sister’ in doodle and funny style can be among the most appreciable Diwali gift ideas to bring a great smile on the sister’s face on Bhai Duj during Diwali. The delicious, creamy and crunchy taste of this chocolate conveys affection in the most adorable manner. ‘En Vogue’ magazine is a renowned name in the world of fashion and lifestyle. It can be a matter of pride to be featured on the front page of this magazine for any beauty conscious girl. The replica of the front page printed with the sister’s photograph would make her feel pleasantly surprised on the occasion of Bhai Duj. The ceramic plate of 8 inches diameter printed with the cartoon image of the sister along with the text message with her name, calling her ‘the world’s greatest big sister’, can be the most fascinating Diwali gift for the loving and caring elder sister on the occasion of Bhai Duj. Many gorgeous sisters are ‘Shopoholic’ by nature. This can be a funny word to reflect their passion for shopping every now and then. The same enthusiasm for shopping is portrayed in this gift that is the wall clock printed with the caricature image of the sister derived from her photographed uploaded by the brother. This beautiful rock-slate printed with the cartoon image of a singing hippo along with the photograph of the loving young sister can be a fabulous Bhai Duj gift for the sister that is younger, or a true cartoon lover irrespective of her actual age. This keepsake can be decorated in the showcase or kept anywhere in the living room.